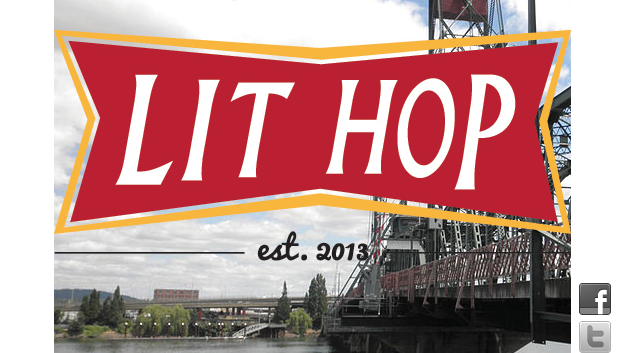 This Thursday, June 12th, I’m making the trip up to Portland to read in the literary throwdown that is LitHop PDX. I’ll be reading with alice blue books at 7:00 on the Branch Whiskey & Bella Faccia Back Patio, but there’s five other readings going on at the same time, all on Alberta St., till 9:45. Check out the reading list here.